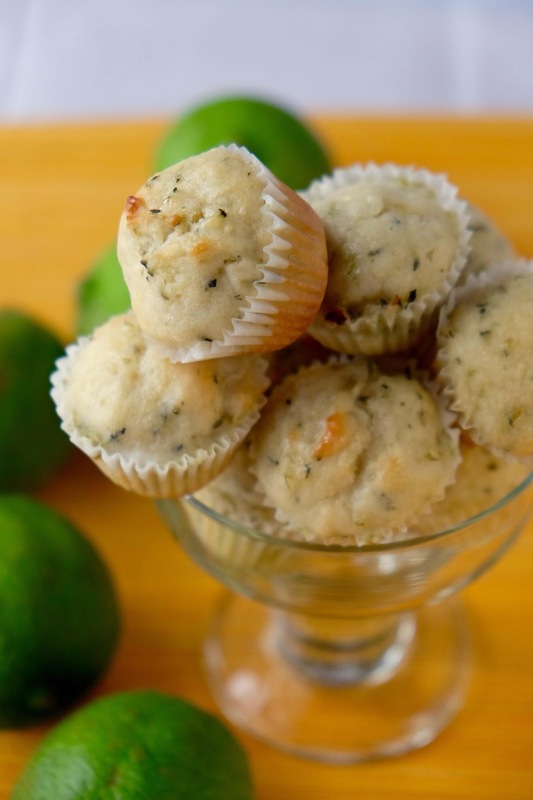 Shredded zucchini and fresh lime zest in tender cupcakes topped with a glaze of fresh lime juice. I'm having a heck of a time getting posts entered into the computer using my spouse's iPad. Until I am reunited with my computer, I'm going to let the pictures do most of the talking for these treats. Desserts are not really my thing, and astute bakers will realize this is a muffin recipe in disguise. It is--but it's so sweet compared to my usual muffin recipe that I'm calling these cupcakes instead. 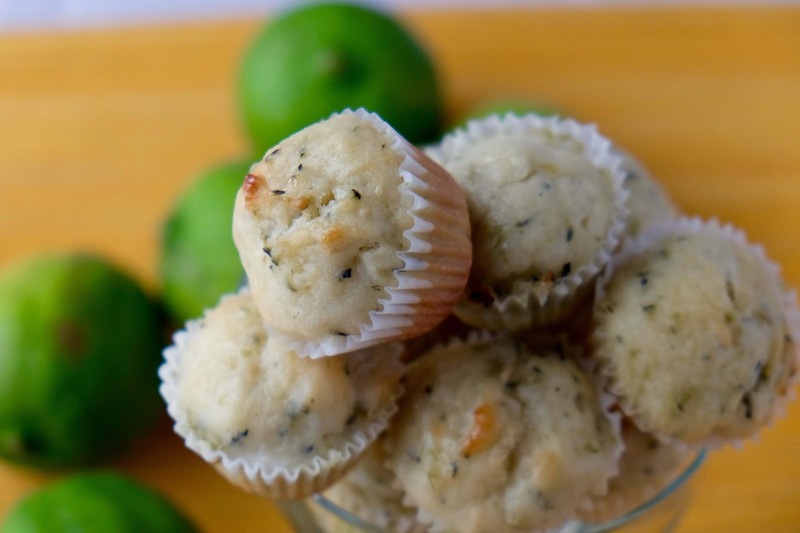 This recipe came about when I had an abundance of limes (and zucchini in the freezer--overwhelmed with summer squash? Shred and freeze it). I'm already shared the Coconut Lime Cookies, now it's the zucchini's turn to shine. I've been sharing so many zucchini recipes lately I should have held Zucchini Week! No matter, I love zucchini and will happily create many more ways for you to enjoy the squash from your farm share, farmer's market, or neighbor's garden. 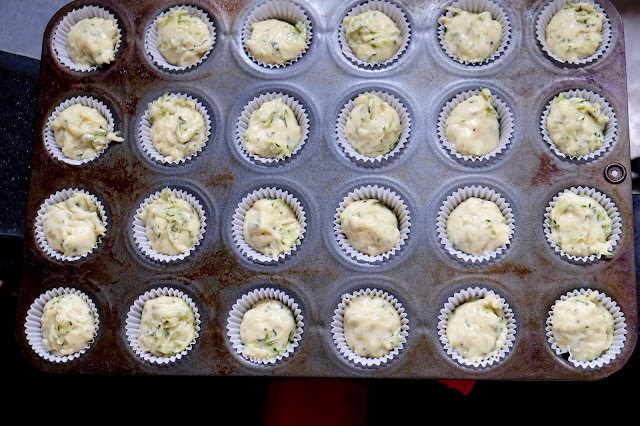 Preheat oven to 400 degrees Fahrenheit and spray a 24 well mini muffin tin with vegetable oil spray or line with paper liners. Set aside. 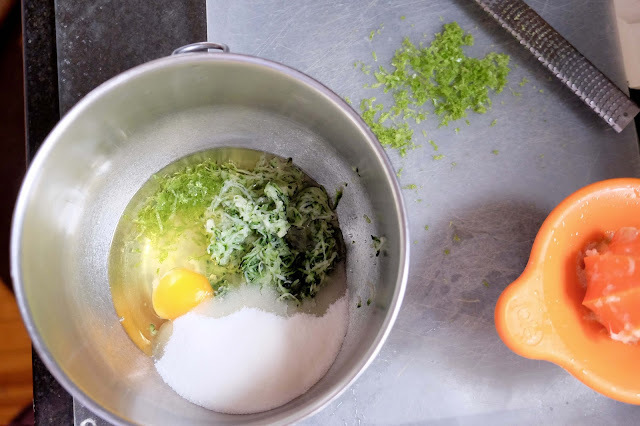 In a large bowl mix together zucchini, lime zest and juice, egg and oil. Add sugar and still well. 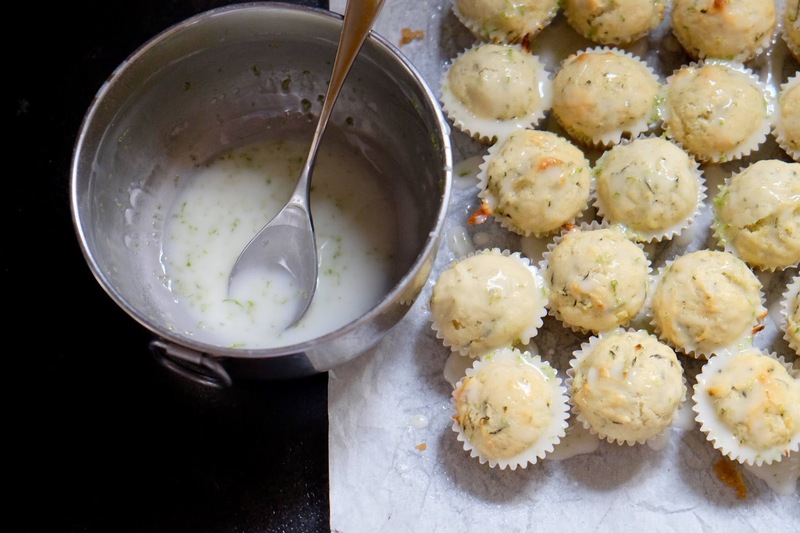 Dump dry ingredients (flour, baking powder and salt) on top, and stir until just combined. Scoop (I use a 1 1/2 Tablespoon scoop) into prepared pan. Bake for 12 to 15 minutes, then transfer to a rack to cool for at least 15 minutes. In a small bowl, mix up glaze ingredients using as much lime juice as you need to get the consistency to your liking. 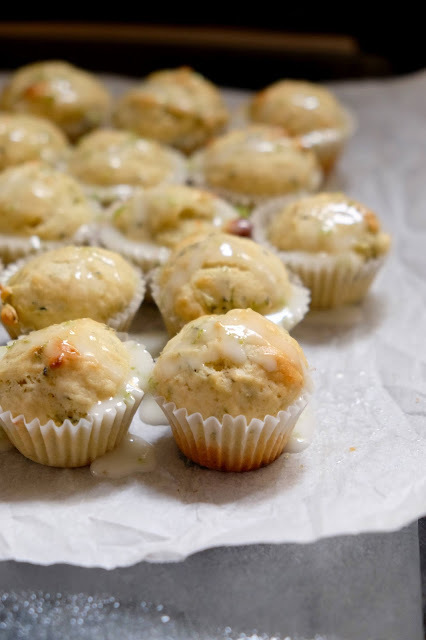 Dunk or drizzle cupcakes to coat them in glaze. Set on rack to firm up the glaze. For more recipes using zucchini in sweet or savory preparations, please see my Zucchini Recipes Collection, part of the Visual Recipe Index by Ingredient. I've also got a Summer Squash Recipes Collection in case you've got a mixed bunch of summer squash and don't know what to do with it. I pin squash recipes of all seasons to my Squash Pinterest board, and share seasonal recipes and round ups from around the web on my FB page. For info on how to use this blog, click here. These are going on the list to try for sure. You know I can dig anything with a citrus flair. Better yet if I get to put my frozen zucchini to work. You may put your frozen zucchini to work for you in a myriad of ways.